This was ages ago but my last dinner club was a resounding success as I succumbed to the awesome idea that making a LARGE version of a favourite would be good. 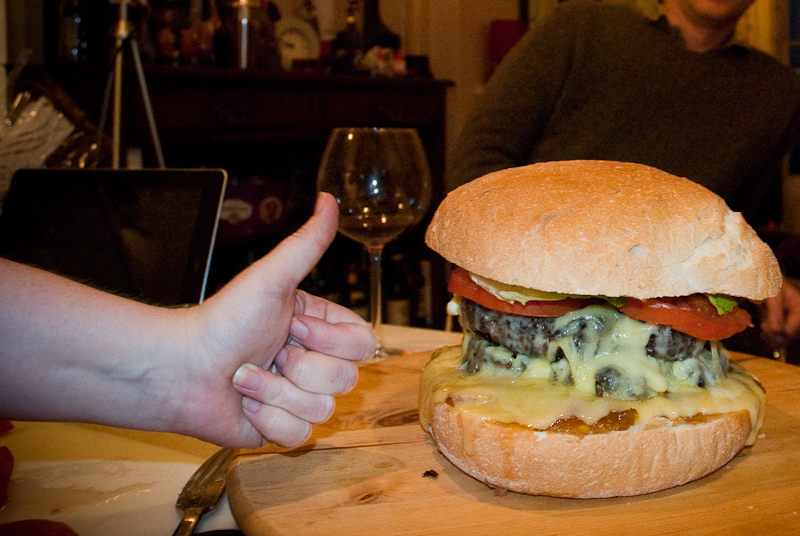 Hence the enormo burger. 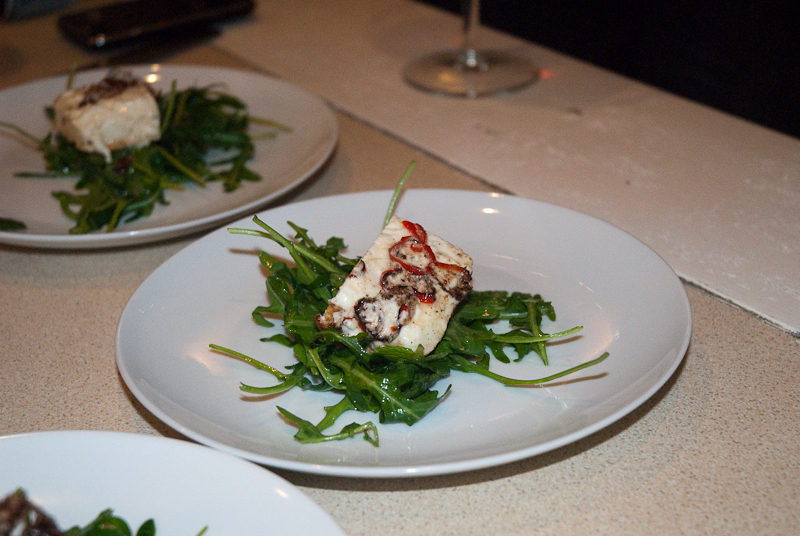 I started with some seared chilli feta on salad. 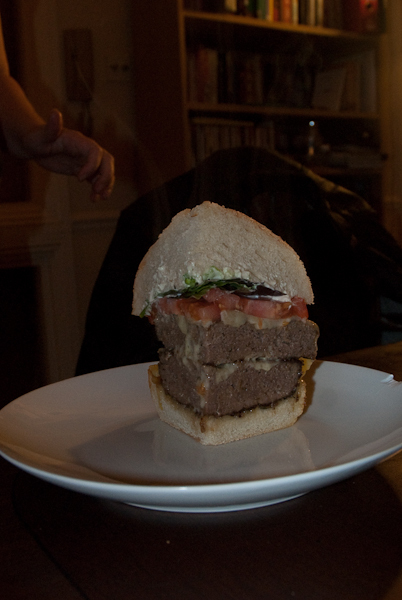 It looks very small compared to the burger course! 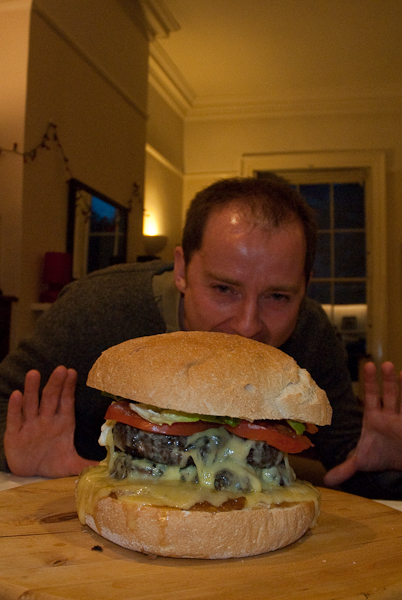 Main course was a slice of double cheese burger for each person. 800g of minces beef, 8 slices of cheese. Beefsteak tomatoes and most of a pot of chutney and relish. Plus plenty of mayo on the top slice. All served up in a round loaf of bread. And then finally dessert was a slightly lighter option. Well, not really! 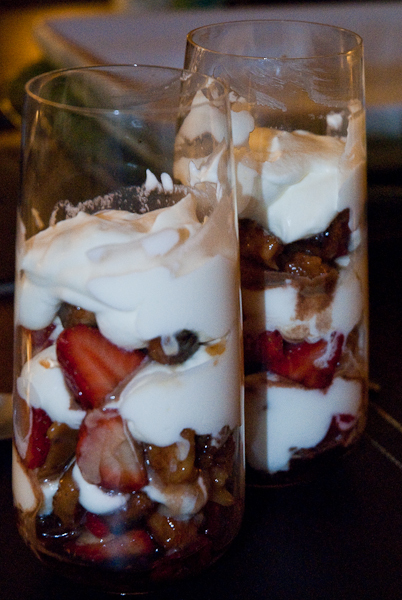 Caramel croutons, balsamic strawberries and cream. 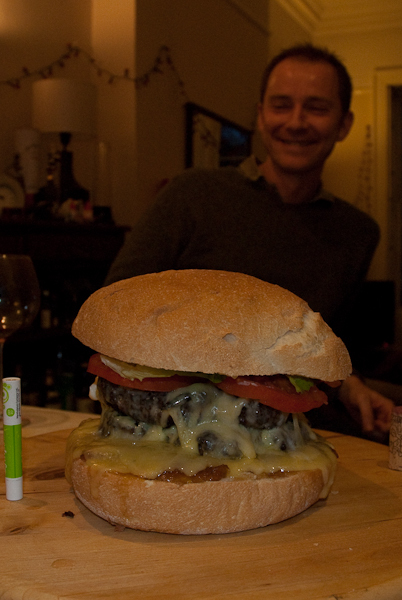 28 May 2012 in Cooking, Dinner club, Uncategorized.